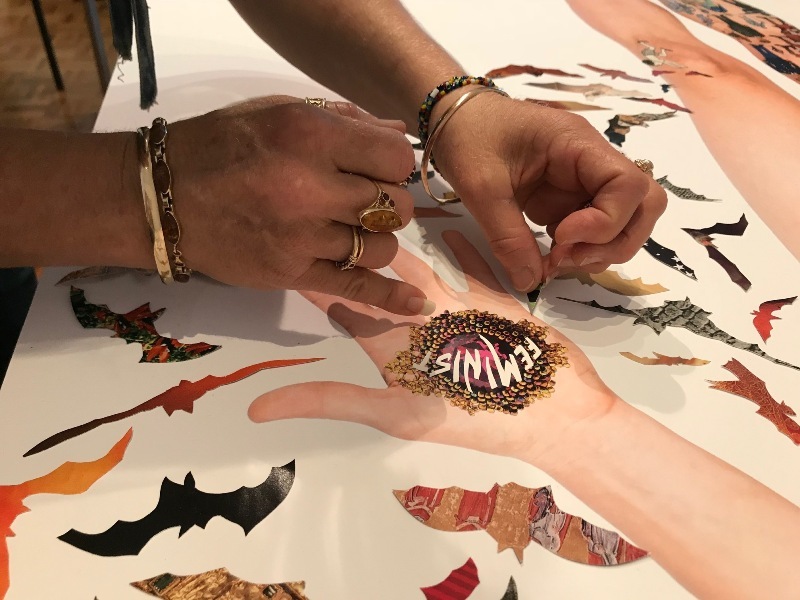 It is a great honour to have been selected to participate in Deborah Kelly’s collaborative collage project No Human Being is Illegal: Evolution. Presented at the Noosa Regional Gallery, the two-week intensive workshop saw several artists work on the evolution of the portrait of Jeremy Anderson to catch up to his transition. It is a rare event for a regional artist to participate in a collaborative project of such significance and to work alongside Deborah and a select group of artists collaboratively while exploring the complex conversation around transgender, was an invaluable experience. Pictured; L-R, Vicki, Katrin Terton, (Jeremy Anderson portrait), Deborah Kelly and Myself. 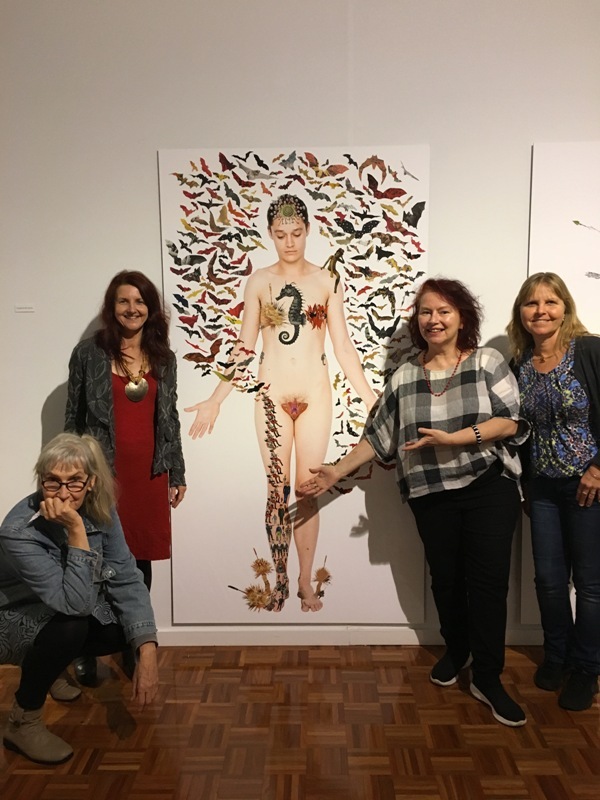 Deborah Kelly‘s exhibition No Human Being is Illegal (In All Our Glory) is currently showing at the Noosa Regional Gallery until 2nd September 2018.